Selling price includes GM Rebates that everyone qualifies for. Other rebates may be available upon qualification. View exact pricing breakdown at www.driveclassicGM.com. Call us at 440-428-1141 for more information. 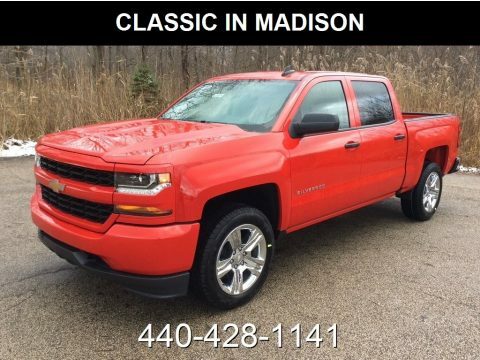 See dealer for details...............................................Why buy from Classic Chevy, Buick and GMC in Madison? We offer a large selection of new cars, trucks, vans and SUV’s! From the award winning Chevy Malibu; the efficient and good looking Chevy Cruze; the stylish and functional Buick Encore; the sophisticated Buick Enclave; the stylish and versatile Chevy Equinox; the bold and sporty Chevy Sonic, the most dependable full size pick-up on the road, the Chevy Silverado; the aerodynamic and elegant GMC Acadia, the powerful and confident GMC Sierra, the uniquely proportioned City Express Cargo Van and everything in between.We are located East of Cleveland, we have a professional and knowledgeable Sales Staff, our Management Team is one of the best in Lake County and if you have had credit challenges in the past, give one of our Business Managers a call at 440-428-1141, they will be happy to assist you. We look forward to meeting you and earning your business!